American Pond brings you a full line of professional grade pond kits. 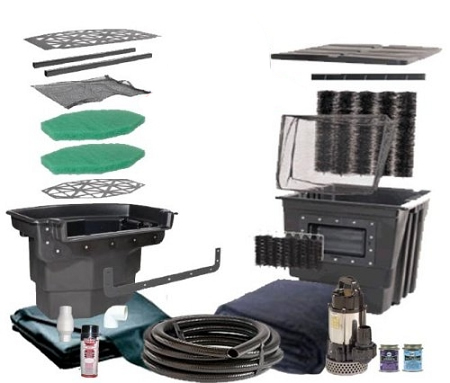 These kits are for pond contractors or the advanced water garden hobbyist. These professional grade kits feature high quality materials and come in sizes from 6' x 8' to 21' x 26' with larger custom kits available. Our skimmers and filters are American made and come with a lifetime warranty! Our underlayment is 25% stronger than most kits on the market and we feature the industry best Firestone pond liner with a 20 year warranty. Even our pumps are better! The Shinmaywa Professional Pond Pumps are heavy duty, long lasting, with a stainless steel housing. These super powerful waterfall pumps come with a 2 year warranty.